If you are getting married this year or in 2018 and you want to take a sneak peek at the hottest wedding trends you have come to the right place. While trends are constantly changing in the wedding industry, there are several trends that will be staying around as well. 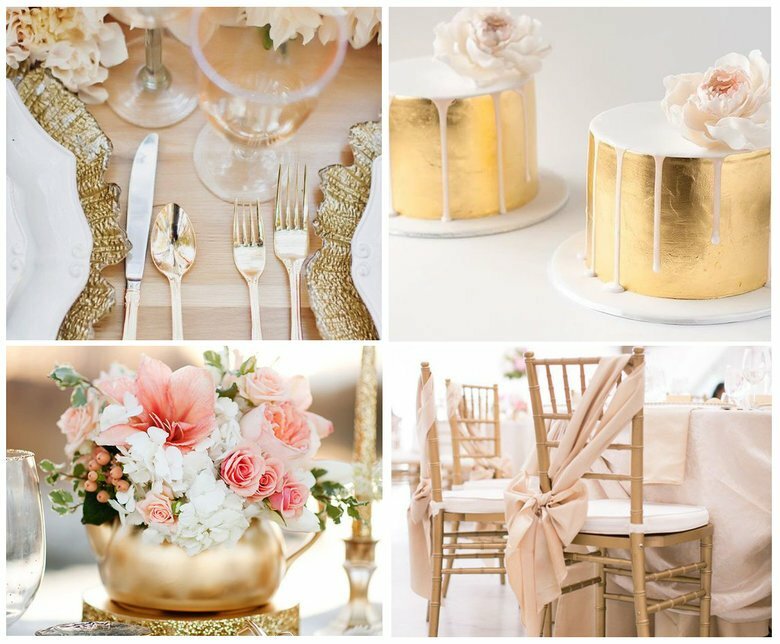 In this weeks blog we will provide you with some of the trends, which you can recreate and use as inspiration for your own wedding. This year and most likely next year as well there will be a mix of metallics and whites to top the palette charts. Not only golds and shiny silvers but also the softer, brushed metallic stand out very well combined with bright white accents.Using these colours will help you achieve that contemporary yet hip vibe that will be very much in trend. Combine this colour palate with industrial and modern touches for a fashionable and classy look. Last years trend was to use lots of greenery, like table garlands and boxwood walls this trend will continue throughout 2017. The only challenge will be to think of something new and creative to use the greenery with. 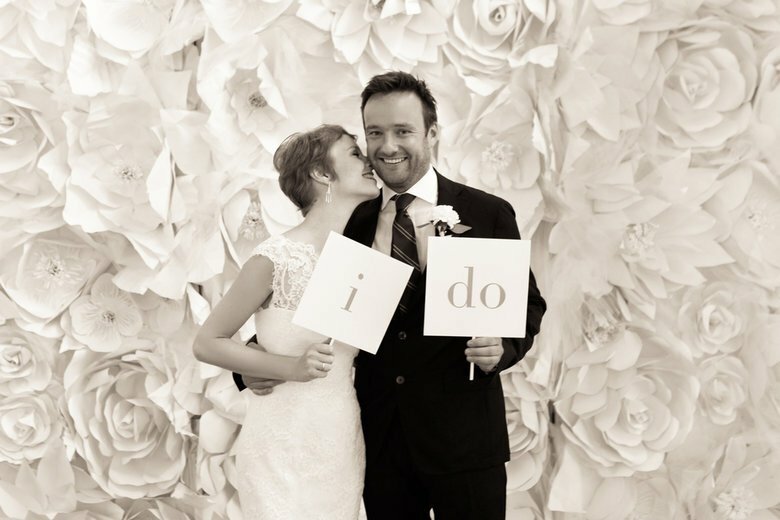 Whether it is in your wedding bouquet, incorporated into your décor or in different photo backdrops, incorporating paper into your wedding day is quickly growing in popularity.It is easily available and affordable. Paper can be easily customized and be incorporated in anything you like. There are so many interesting things you can do with it! Unexpected and vibrant colour combinations are starting to replace the blush and pastel colours lately. Colours like bright orange, mustard yellow and deep green are some of the fun colours we will see a lot of. 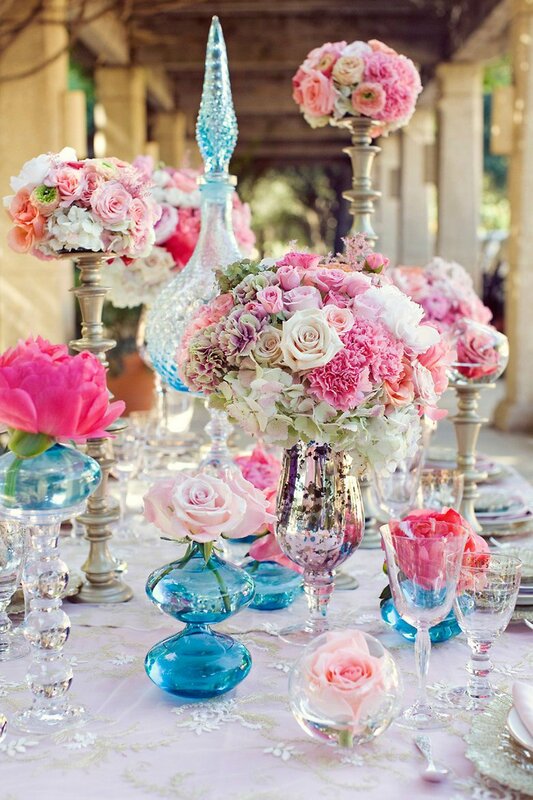 Bold colour palettes open the door for using unique floral varieties and creative decorations. If we have a look at the designs for next season, we see a somewhat sexier than usual Bridal Fashion Week this year. Bare shoulders, plunging necklines and a lot of embellishments will be seen in the year 2017/2018. Also we will see a bolder bride this season, bright colours are becoming more popular and add a memorable focal point to any theme.